One of the first things an Allen Collins Realty agent presents to a seller is a competitive market analysis (CMA) or ‘comps’. The CMA is based on current market trends and recent sales in a given area and is the basis for the agent’s recommended list price. Setting the right price is crucial in home sales, because an inflated asking price can turn away buyers. And according to the National Association of REALTORS®, sellers who use a real estate agent receive on average 20 percent more for their homes than those who sell their own homes. An Allen Collins Realty agent has a better understanding of what buyers can get for their money in the neighborhood they want to buy into. Allen Collins Realty has extensive neighborhood experience in all three of the Tampa Bay counties, Pinellas, Pasco and Hillsborough counties. Allen Collins Realty agents also have important information about the neighborhoods, including noise levels, schools, shopping, property taxes and demographics. For sellers, these details are equally important, as they affect the value and marketability of a home. Each of our agents provides a unique knowledge and experience of the Tampa Bay Real Estate Market. We can provide you with an agent to best suite your needs. An Allen Collins realty agent will present sellers with a high quality marketing plan that details what we will do to sell the home. This will include online and web marketing presentations, coordinating open houses, writing and placing ads in various media, printing and distributing brochures, and showing your house to potential buyers. Allen Collins Realty agents also have exclusive access to two resources that are critical to selling a home: other agents and the Multiple Listing Service (MLS). We take advantage of our strong connections with agents in the area, as well as our well-developed customer database, to ensure that your home to sell reaches the entire market of buyers. We also use our resources to gain the most current knowledge of what is available in the market at the time you’re ready to buy. The MLS and the REALTOR®’s contacts. The multiple listing service, or MLS, is a database of all the homes for sale by real estate agents in a particular region. Allen Collins Realty is a member of “My Florida Regional MLS”. My Florida regional MLS covers the entire west coast and central Florida. Once a home is listed, information about it can be accessed by all the agents in the area and matched to buyers: in effect, your home is being sold by not one person, but by thousands. Allen Collins Realty will also arrange an open house just for real estate agents. (Broker Opens) In turn, these agents recommend the house to their buyers. A study by the National Association of REALTORS® revealed that 82 percent of homes are sold through an agent’s networking and contacts. When selling, Allen Collins Realty agent will provide an unbiased view of the home and what needs to be added or subtracted to make it more appealing to buyers. Buyers who hire Allen Collins Realty as a buyer’s agent benefit from Allen Collins Realty’s ability to disclose potential drawbacks and flaws of a home, something an owner has little incentive to do. Through our experience, we know how homes should be staged, and what features will attract the widest range of general buyers; making your home more likely to sell. Buyers who hire an Allen Collins Realty agent will only tour houses that fit their budget and needs, because Allen Collins Realty® will eliminate unsuitable homes. We know that the most important thing is to listen to what you have to say, and we take that to heart. Allen Collins Realty agents help sellers too. 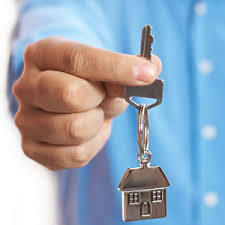 By only showing houses to qualified buyers, we save you time and effort by avoid those people who are “just looking”. We find the buyers who are ready to buy. At Allen Collins Realty, we know the information that must be included in the specific contracts and other documents to save you from any further hassles. We will also advise on what stipulations you should make in the contract — items that should remain in the house at closing, for example. Allen Collins Realty can provide advice to both buyers and sellers about whether to accept or modify an offer or counter-offer. Once an offer has been accepted, Allen Collins Realty may arrange for a home inspector, financing, a title search and a real estate lawyer, as well as ensure that all repairs and stipulations in the contract are complete.